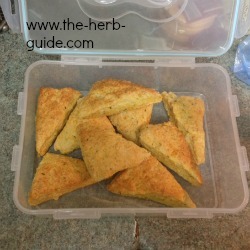 These fabulous herby cheese scones are very easy to make. They take around 20 to 25 minutes to cook. Lovely warm or cold split and buttered. 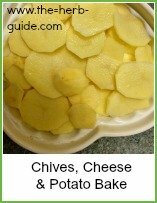 I love anything with cheese in. 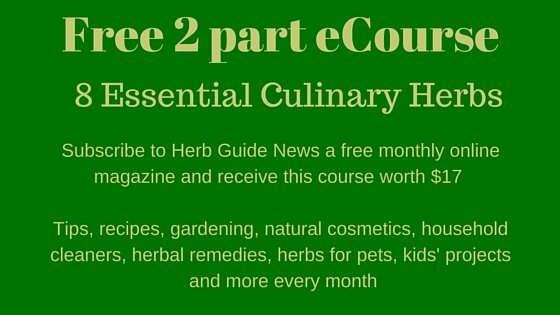 Follow this step by step photo tutorial to make the most gorgeous cheesy herb biscuits that you could image. 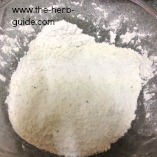 Put the flour into a bowl - 2 1/2 cups. 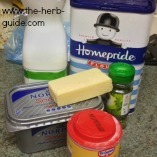 Add the baking powder and a pinch of salt - not too much as the cheese will have a salty taste. 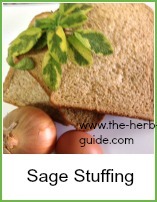 Add either 2 tablespoons of chopped fresh chives or 2 teaspoons dried chives. 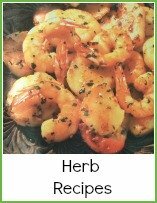 I've used dried here - mix it all together thoroughly. Add 1 ounce of butter. You can use spread if you like, but make sure it's cold. 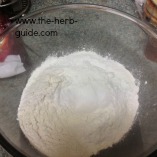 Very carefully, rub this into the flour mixture so that it resembles fine breadcrumbs. 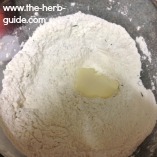 You squeeze the butter between your fingers with some flour out of the bowl - keep doing this until it has all disappeared and the scones mixture will look like this one in the photo. 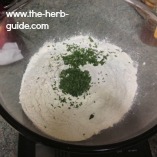 Click here to go to step 2 of the herby scones tutorial. 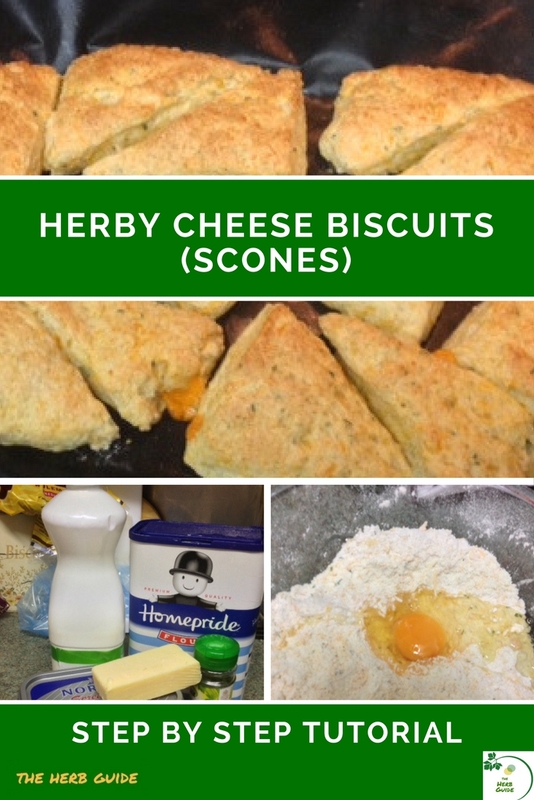 These gorgeous cheese biscuits (scones) are delicious when they're warm with some butter. This simple step by step photo tutorial will show you exactly how to make them.